We’ve wrapped up our 2019 Spring Conference and New Constable School, held at the Tubac Golf Resort and Spa!! This was hands-down our biggest and best conference EVER!! We had 97 attendees to the conference and a total of 120 guests and attendees. This number included 24 newly elected constables, 15 deputy sheriffs, two elected sheriffs, and support staff from around the state. We were also able to gift two $1,000.00 scholarships for students. From the comments and feedback the board has received, everyone was very pleased with it. During our business meeting, Constable John Watson of Yavapai County, Yarnell-Bagdad Precinct, was voted in as a member at large on the ACA Board. 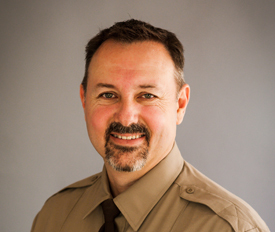 Constable Mike Cobb of Mohave County, Kingman Precinct, was re-voted in for the Constable Ethics Standards & Training Board. Our next training conference will be held in Flagstaff, from July 23rd to 25th, 2019. Save the date, and check back later this year for the registration forms. 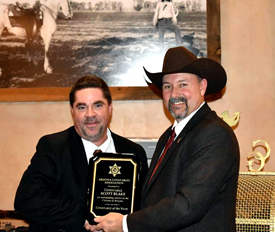 The Arizona Constables Association, which represents the majority of the Constables in the State of Arizona awarded Scott Blake their Constable of the Year Award. 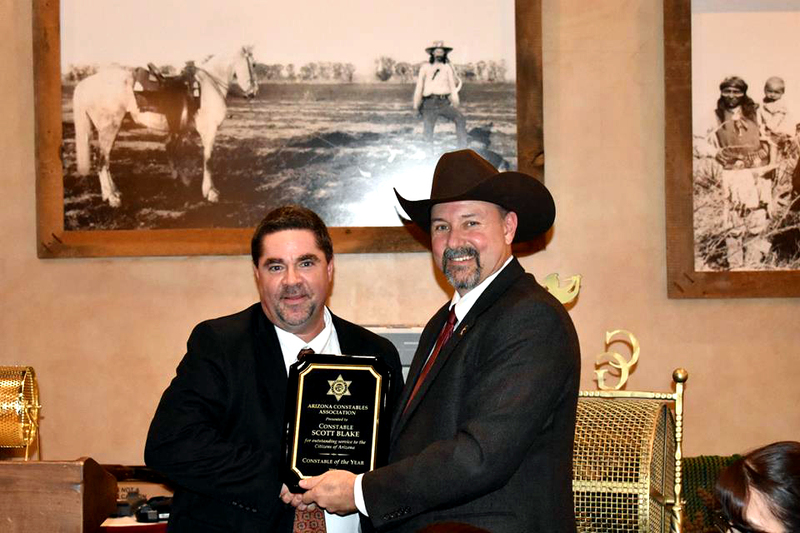 Constable Blake took office January 1st, 2015 for the Hassyampa Justice Precinct of Maricopa County. Constable Blake has been active in the ACA, first as a general member of the ACA executive board, then the ACA Secretary, and now as its Vice President. 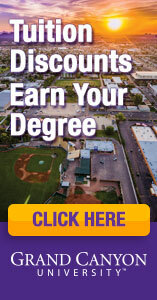 Constables are an integral part of the Justice Court system in the State of Arizona. A Constable is an elected official who serves as the peace officer of the court. In addition to providing judicial security services, Constables are empowered to serve all cases given to them by the Justice of the Peace or other Judges. The process includes service of criminal and civil subpoenas and summonses, writs of restitution (eviction orders), writs of execution (orders to collect judgments), writs of replevin (orders to seize property), orders of protection, injunctions against harassment, and warrants as well as any other orders from the courts. Constables may also be involved in the sale of seized property, summoning jurors for trials, and posting of liquor license notices. Constables who are elected by voters within their judicial precincts are able to provide timely and cost efficient service by working directly with the courts in their local communities to ensure the court's orders are served with justice in an ethical and respectful manner. Welcome to the Arizona Constables Association web site. This site has been developed to assist you with learning more about this elected position. Did you know that the job of a Constable varies depending on the county he or she works in? Constables have been a part of Arizona since the days of the Wild West. On our About page, the constable's rich history will take you on a journey from territorial days to present times. 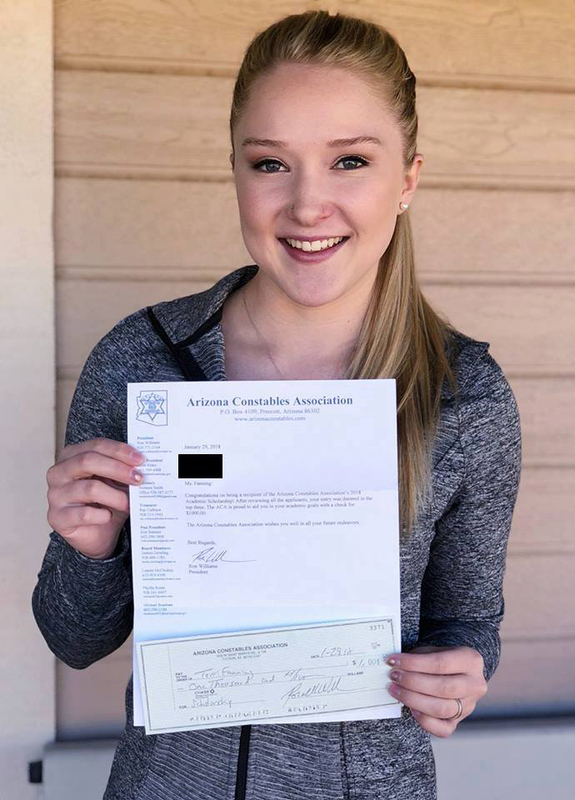 Although the Ethics, Standards and Training Board is a separate entity from the Association, several association members serve on the Ethics, Standards and Training Board, which oversees the conduct of Arizona's Constables. For more information about the board, browse over to our Ethics, Standards and Training Board page. Under the Members Section you will find a listing of the current members of the Association and their biographical information. We hope you enjoy this site and if you have any further need to contact a board member, please see the Board Members page. Congratulations to Tori Fanning, Robert Romo, and Arianna Russell for being the three recipients for $1000 academic scholarships! Every year, the ACA awards three scholarships to eligible students, in amounts of at least $500 apiece. Our beef raffle allowed us to double this years awards.